For years, Craigslist has been a predominant source for job postings in the marijuana industry. Due to the limited number of specific forums for careers in the cannabusiness, the popular site is still a go-to for posting “alternative” jobs that reached a large group of people. 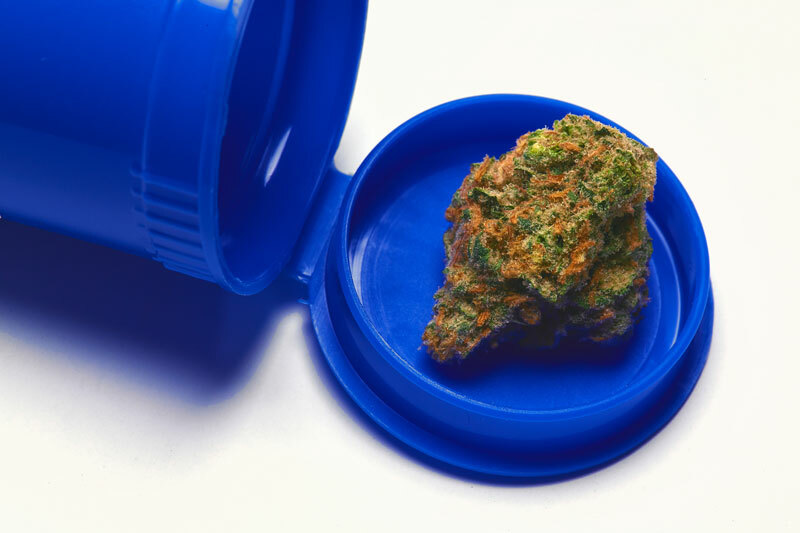 The medical and recreational marijuana industry is experiencing a major boom, especially in cities like Portland, OR, Denver, CO, Seattle, WA and several cities in California like Los Angeles and San Francisco. This increase in demand for cannabis products has led to a similar trend in Craigslist marijuana jobs. In 2014, the Marijuana Industry Group (MIG) calculated that recent marijuana legalization in Colorado had created between one to two thousand jobs in under six months, contributing to the state’s low unemployment rate of six percent. Scrolling through local Craigslist marijuana jobs, it is likely you’ll see some posting for budtenders and trimmers here and there, but the listings are sparsely located and tough to find at times. Thanks to recent recreational legalization for adults twenty one years and older in states like Colorado, Oregon and Washington, a growing cannabis culture is emerging, helping to eliminate stigma toward medical and personal marijuana use. Sites like Leafly and Weedmaps have capitalized on the dispensary job sector of the industry by using location based services to provide customers and patients with comprehensive lists of local and remote dispensaries. Web development of this kind is bringing dispensaries and consumers closer than ever before, promoting greater interest in marijuana careers, especially in dispensaries. What Craigslist Marijuana Jobs Are Out There? One of the most popularly searched Craigslist marijuana jobs is for budtending positions. Budtenders are the face of the marijuana industry. This customer service oriented job is one of the more entry level positions in the cannabusiness, though many dispensary employers look for applicants with some marijuana experience and major marijuana knowledge. Budtenders help medical cannabis patients and recreational customers with any questions regarding any of the store’s products, formulating suggestions based on the consumer’s specific needs and preferences. Compensation for budtenders averages around twelve dollars per hour, though some budtenders make several dollars more per hour depending on experience level. Most budtender also receive tips. Additionally, entry level marijuana jobs in reception are frequently pursued alongside budtending. Receptionists are responsible for completing many typically associated daily tasks such as data entry and customer service assistance. This position is integral in keeping a dispensary running like a well oiled machine. Receptionists are responsible for processing patient identification and logging it in an online database, while also helping to direct customers to a budtender. There is a relatively large frequency of crossover between reception and budtending, given that both positions are primarily customer service based. Receptionist pay is largely similar to that of a budtender. Dispensary managers wear many hats on a day to day basis. This position requires hiring, training, educating and leading employees in shifts, as well as scheduling. Dispensary managers also complete tasks in inventory and ordering, as well as direct customer interaction. Managers are responsible for communicating effectively both with subordinates and higher ups. Managers are offered competitive wages as the job requires an experienced, trustworthy employee. Trimming may be known as the tedious job of the marijuana industry, but it’s surprisingly one of the better paying positions. Marijuana trimming jobs involve taking matured marijuana flowers or colas and trimming off the larger fan leaves and smaller sugar leaves which contain dramatically lower levels of THC than trichomes. The trimming process allows for an aesthetically pleasing final bud, but most importantly creates the best bang for your buck when it comes to the THC and CBD compounds inside. Trimming is repetitive, but some trimmers describe the work as meditative. One of the benefits of trimming is the opportunity for significant pay increase based on the weight of well trimmed flower completed over a period of time. While some positions start around twelve dollars, pay can increase up to twenty dollars per hour and beyond. Becoming an assistant or master grower is a fairly extensive process. Companies look for experienced horticulturists with years of experience in the marijuana industry, as the job requires an incredible amount of knowledge and a skillful problem solver. Growers are responsible for following a plant from seed to harvest and everything in between. this includes germination, cloning, transport, pruning, protection just to name a few responsibilities. Pay for growers can be significant at a management level. It is not unheard of for master growers to make salaries of $250,000 a year or more. The jobs described above represent only a fraction of the career possibilities now available in the marijuana industry. Concentrate Extraction Technicians and Processors, marketers, writers and reviewers, designers and tourism companies are just a few examples of jobs experiencing growth as a result of cannabis legalization. Is Craigslist All There Is? Though many employers who post Craigslist marijuana jobs are legitimate managers and business owners looking for employers, there is often a question of credibility entrenching the site due to a level of informal anonymity. Given that the marijuana industry is still stigmatized and treated with fear and caution even in states and municipalities where it’s legal, further lack of credibility is not going to help the business thrive. Moving forward as an industry, a need for professional, authoritative marijuana job sites and services is evident. Just like Leafly brings customers and dispensaries together, shouldn’t a website exist that brings dispensary employers and employees closer together? Legitimate sites that openly and legally work with dispensaries and interested applicants to help fill current positions could really smooth out the process of getting hired in the marijuana industry. This same mentality can be applied to jobs in the marijuana growing and trimming sector of the business, along with many others. Canna Recruiter, is working to revolutionize the marijuana industry hiring process, so that candidates no longer need to search for Craigslist marijuana jobs.